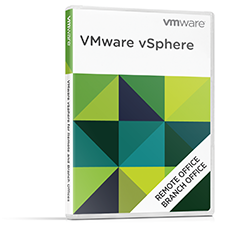 VMware vSphere Remote Office Branch Office editions are designed specifically for IT infrastructure located in remote, distributed sites. VMware Remote Office Branch Office Standard delivers remote site server virtualization with business continuity and backup features. VMware vSphere Remote Office Branch Office editions are designed specifically for IT infrastructure located in remote, distributed sites. vSphere Remote Office Office Branch Office Advanced delivers remote site server virtualization, business continuity, backup and advanced features that enable minimization of host configuration drift and enhanced visibility into regulatory compliance, across multiple sites.